Forum › Play & Say Program › Keen Software issues. This topic contains 2 replies, has 1 voice, and was last updated by Quella 2 years, 3 months ago. Below are a few images and details around a few of the issues I’m having with the current beta client and the Keen product. 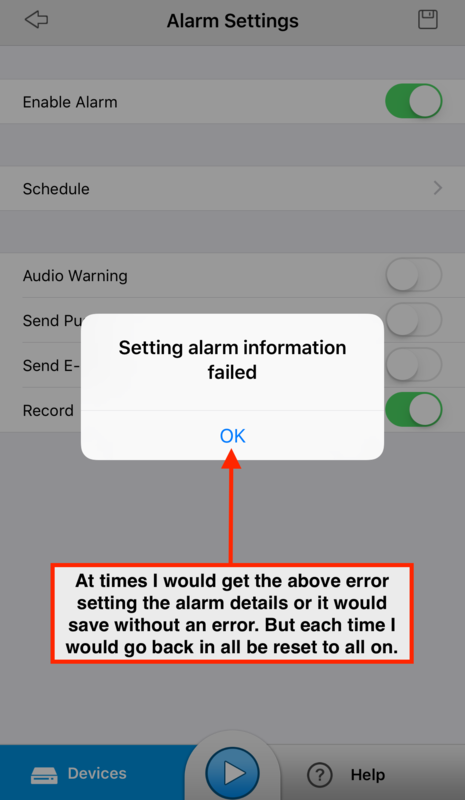 When I try to set individual Alarm Options in the iOS app for the Keen, I either get the below error or it saves without an error and no matter what, when I go back into the Alarm Options they are all back to their defaults; all on as if I never did anything. 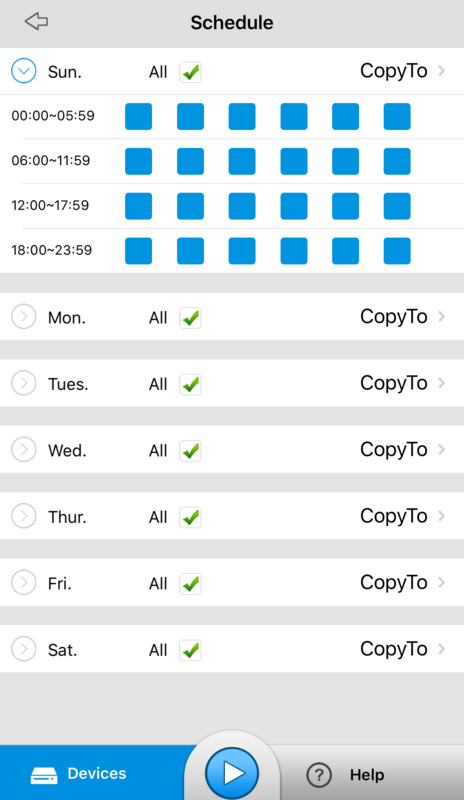 I do like the ability to graphically see the scheduling for the alarm as shown below. 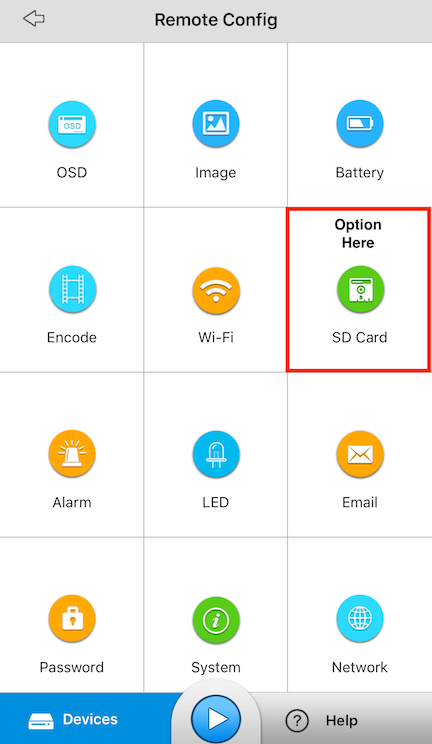 The “SD Card” tile when I’m in the device’s configuration menu shows up sometimes and not others. Seems to be random. 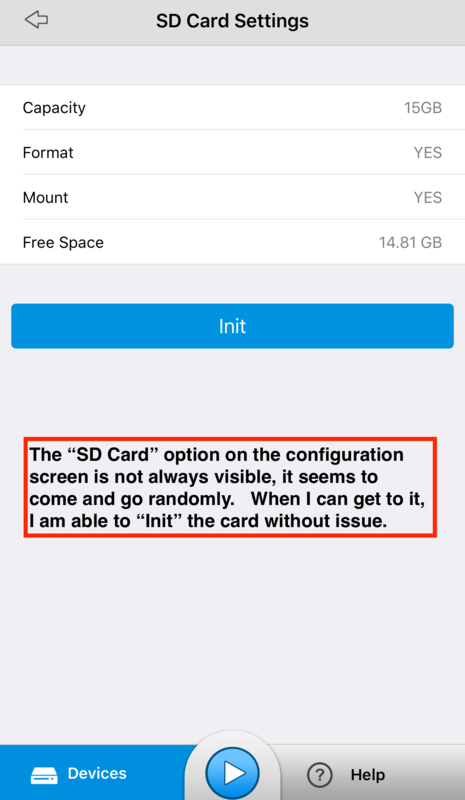 When I’m in the setting, the application allows me to initialize the SD card without issues. Seems strange that the tile is not always there in this version of the beta. 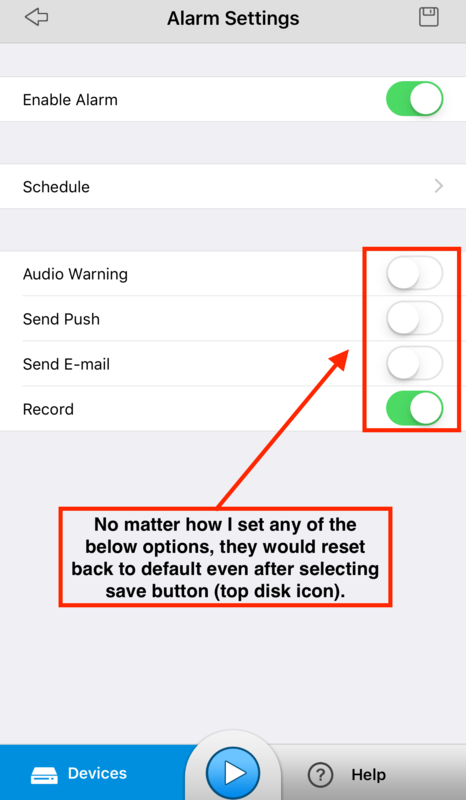 Lastly, as I continue to test the product, it seems that the “Mic” option is not available in this release. 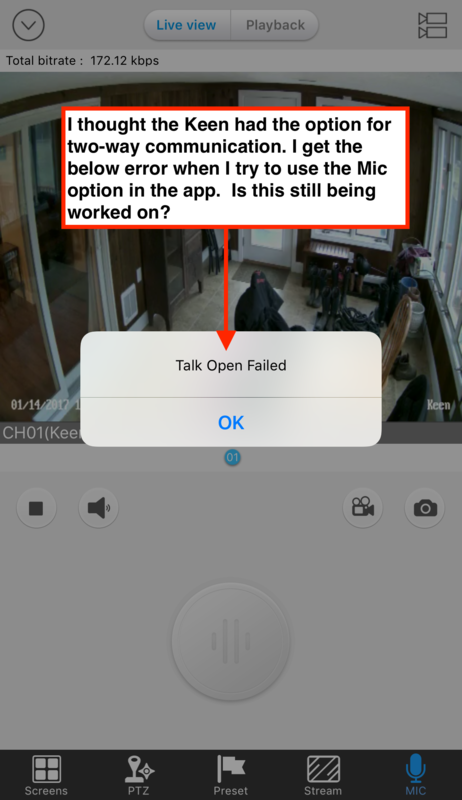 When I try to use the app to talk I get the below error that is cannot open the Mic. I do have this working on a C2 without issue, so I assume it is the app or device firmware. Another thing I have noticed is the “Preview View” does not show the Keen even though it had a formatted SD card mounted in it. 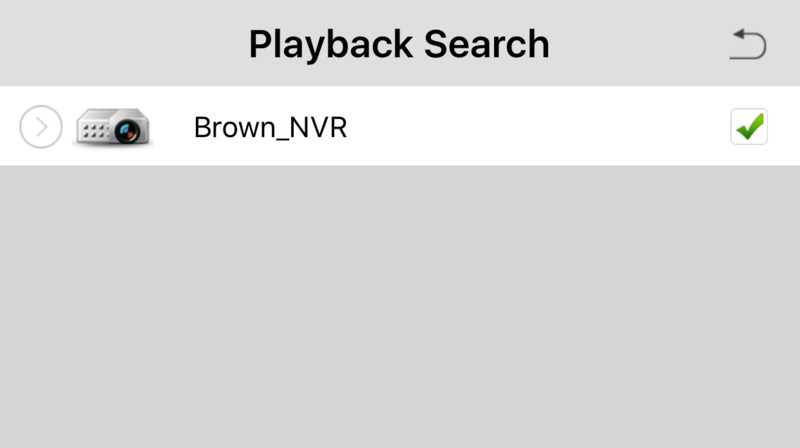 I can see it available in the “Live View”; which lets me select it. But, when I go to the Preview Option I do not need the Keen listed. 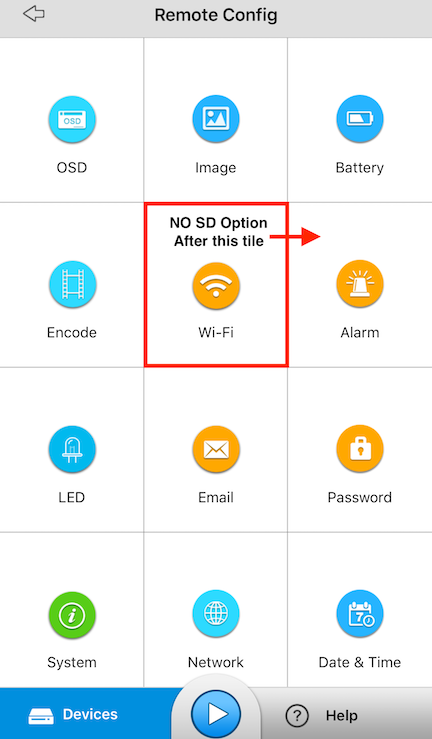 Here is an example of the SD Card Tile showing up and another where it is not there after going back to the options menu. Sorry for the larger imaged in the previous posts. I have adjusted the one below.